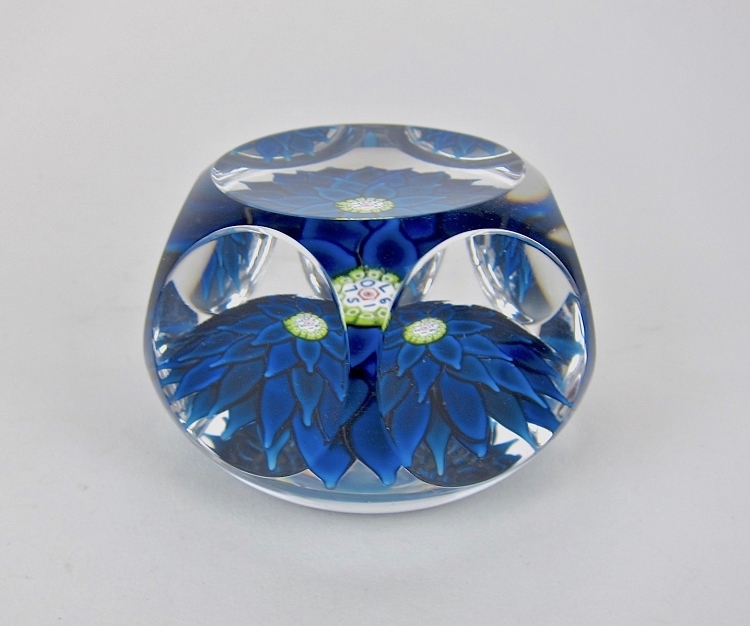 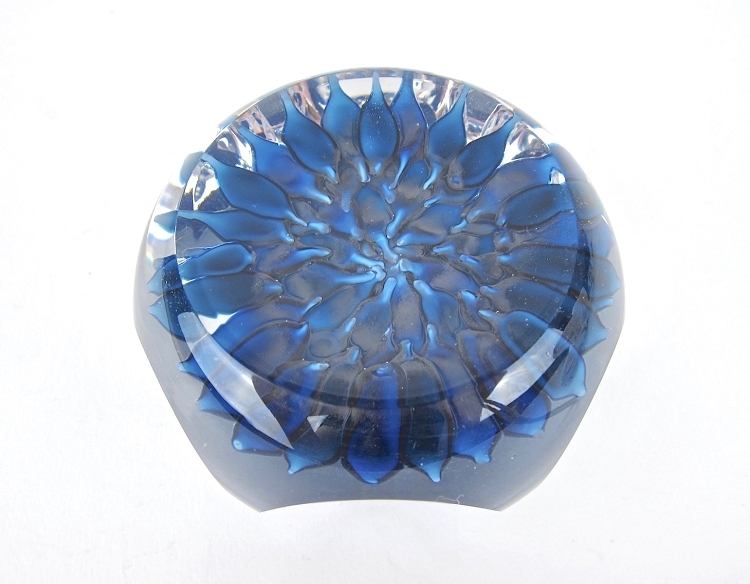 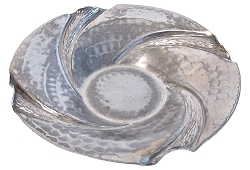 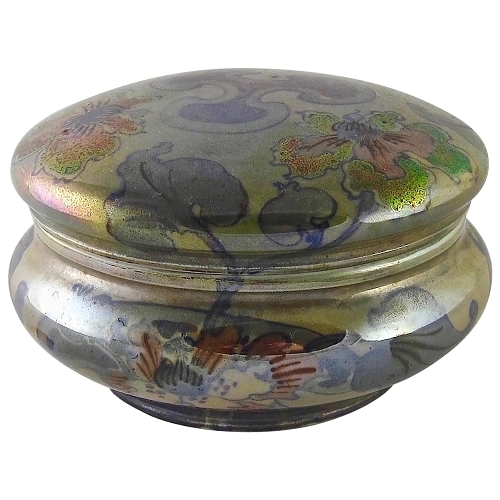 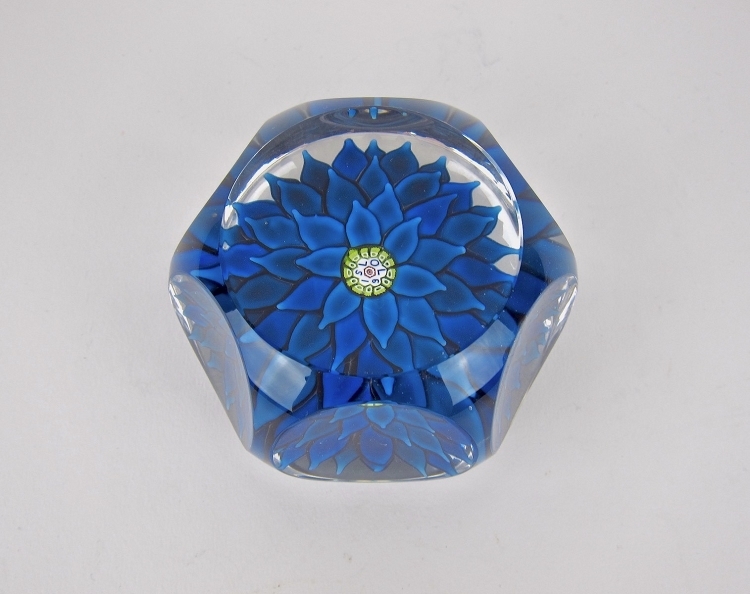 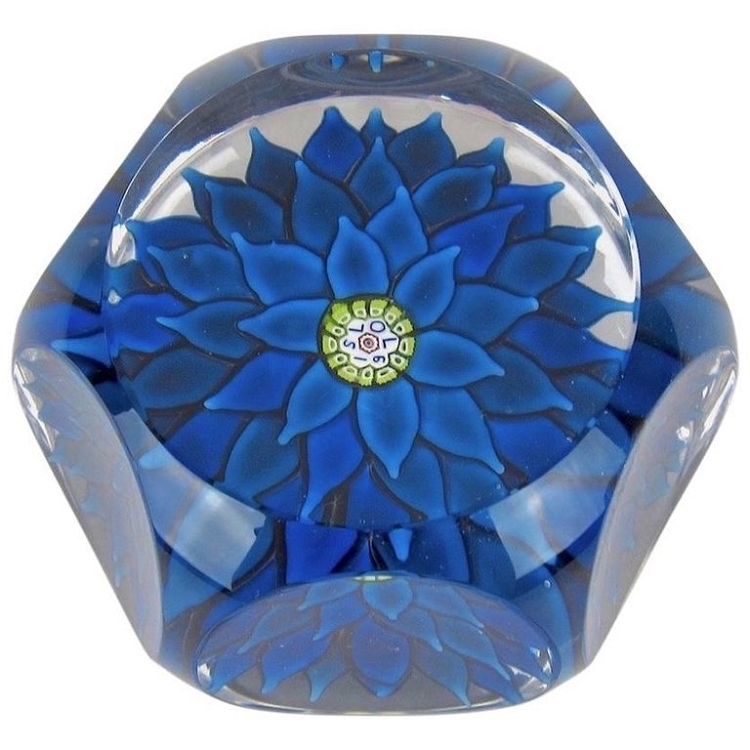 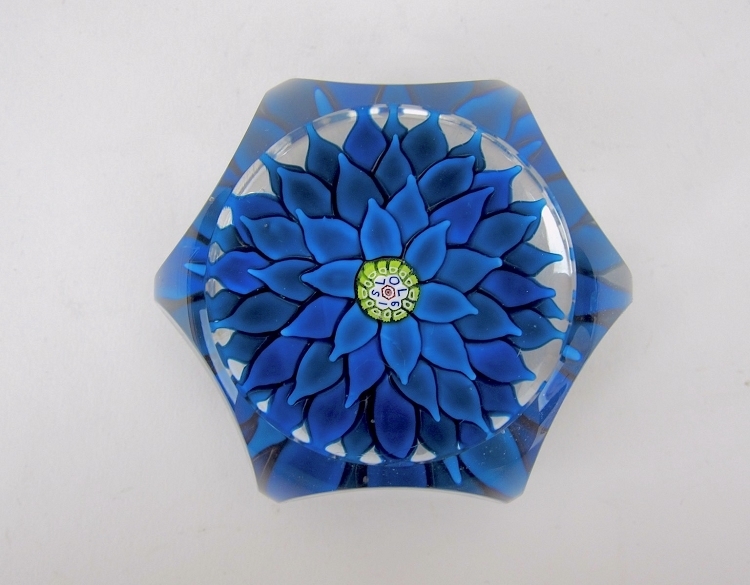 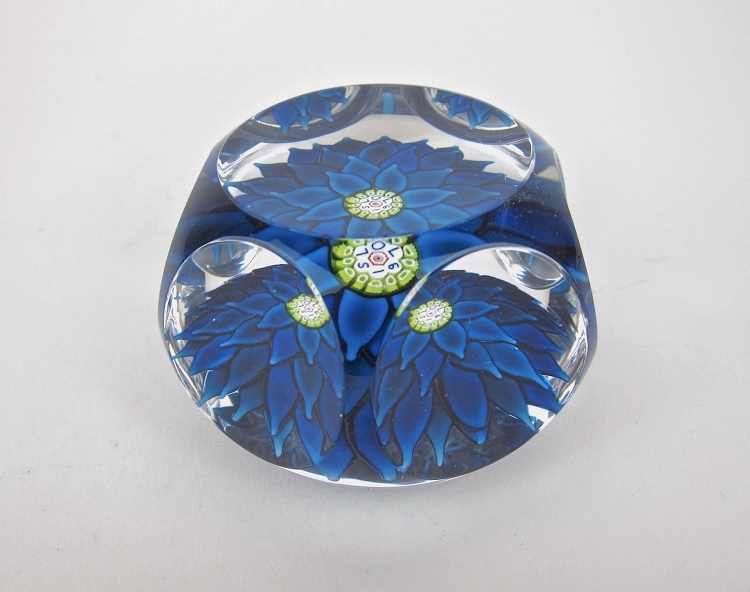 A Saint Louis faceted blue dahlia paperweight / presse-papier handcrafted in France in 1970 in a limited edition of 800. 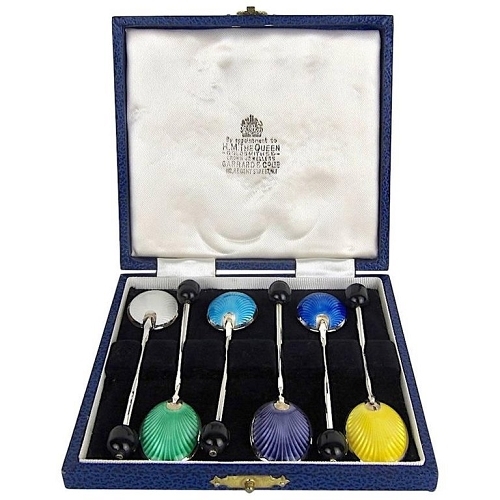 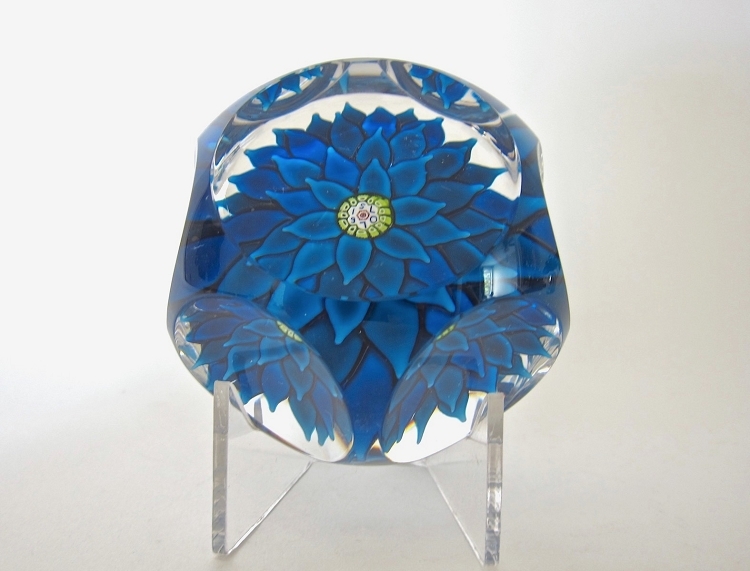 An "SL/1970" signature / date cane sits at the center of a multi-tiered blue dahlia blossom on a clear ground. 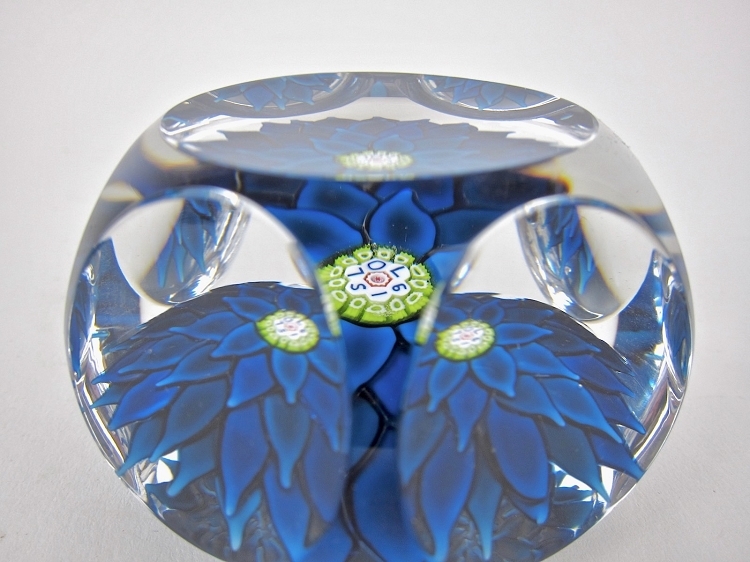 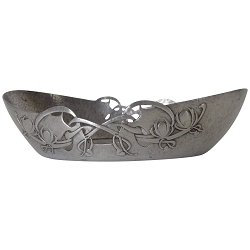 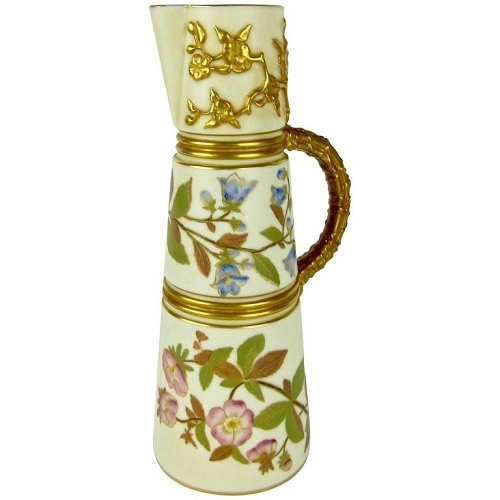 The weight has one top and six side facets.